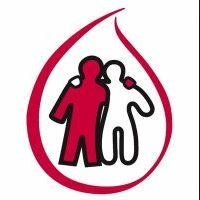 The Canadian Hemophilia Society (CHS) recently announced a Call for Applications for its research programs for the 2017/2018 grant period. A summary of each program is provided below. To support research towards improving the health and quality of life of all people with inherited bleeding disorders and finding a cure. To support clinical research, including outcome evaluation, to improve the quality of life of persons with hemophilia, persons with von Willebrand disease or other inherited bleeding disorders, persons with related conditions such as HIV or hepatitis C, and carriers of an inherited bleeding disorder. To provide fellows in hematology or other relevant fields the opportunity to obtain additional focused clinical or research training relevant to Hemostasis so that they may improve the care, treatment and quality of the lives of patients with hemophilia and other congenital or acquired bleeding disorders.